Monadnock Aviation commemorative silver finish wings are now available. These are a cherished gift and look terrific on flight bags, backpacks, and ball caps. Give a gift that is exciting, educational and memorable all rolled into one. If someone you know thinks they want to learn to fly, this is how you let them find out. If they know they want to learn to fly, this is how you get them started. So make the dream possible. A gift certificate will give them the opportunity to experience flight first hand in our Piper Warrior aircraft. Our introductory flights can be enjoyed year round by people from 9 to 109 years old! These lessons last about 40 minutes and your gift recipient will actually fly the plane. They will climb, descend, turn and learn how the airplane operates. Gift certificates can also be purchased for full hour lessons if an introductory flight is just not enough time in the air for your aviator! Are you interested in purchasing a flight package for someone special in your life, but not sure what to get? Consider our most popular flight package- The Straight and Level. 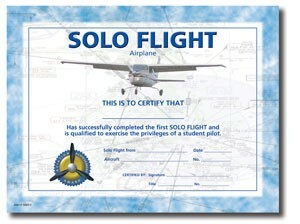 This package includes one introductory flight lesson with a “First Flight” certificate, one half hour of ground instruction with a Flight Instructor, one hour of flight instruction in our Redbird LD flight simulator, a logbook with all training documented, and a beautiful set of commemorative silver wings. Are you looking for something more than a one time flight but not prepared to commit to all of the steps and expense required to earn your pilot’s license? 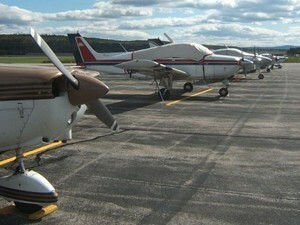 We now offer a solo flight package in our Piper Warrior aircraft. This package will take you from no flight experience through your first solo flight. This package provides ground instruction and up to twenty hours of flight instruction in the aircraft, or flight training device, making your solo flight in an airplane more than just a dream. A pilot logbook, first flight certificate, six month subscription to Flight Training magazine and your solo picture in local press are also included in this package. 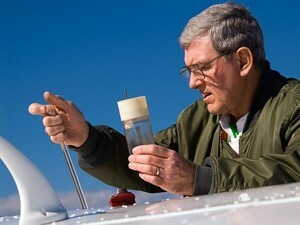 Aviation regulations require you to have a medical examination with a flight physician before solo day. This examination is an additional expense (usually around $100). Purchase this package and cross flying a plane off of your bucket list! If your special person would prefer to just fly without taking control of the airplane, consider a photo flight in our Cessna 172 aircraft. 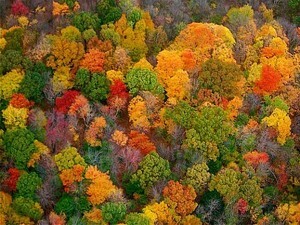 We offer the only photo flights at the Keene Airport. 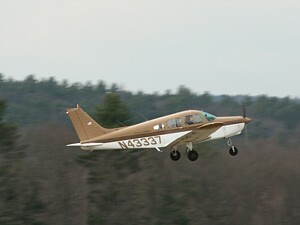 Our flights can accommodate 2 to 3 people (up to 355 pounds) and provide a bird's eye view of Mount Monadnock, the Surry Dam, the Connecticut River, and so much more. Winter flights are particularly beautiful! This gift creates memories to last a lifetime. Our extended photo flights last about 40 minutes and our shorter flights last about 20 minutes (minimum 2 passengers required). If you are looking for a gift for someone who is already a pilot or owns their own aircraft, we can offer gift certificates for aircraft fuel or aircraft maintenance. These certificates can be purchased in any denomination that you choose. Your purchase of these services is for the dollar amount you specify and does not fix or guarantee the price of fuel or services at the time of redemption. The cost of fuel and aircraft maintenance will reflect the advertised rate at the time the gift certificate is redeemed. Account (a PayPal account is not required). To better understand how PayPal stores and protects your personal information, click here. * Gift Certificates are not refundable, but are transferable. Please remember - you must present your gift certificate on the day of your flight.